1. Valieva M.E., Armeev G.A., Kudryashova K.S., Gerasimova N.S., Shaytan A.K., Kulaeva O.I., McCullough L.L., Formosa T., Georgiev P.G., Kirpichnikov M.P., Studitsky V.M., Feofanov A.V. Large-scale ATP-independent nucleosome unfolding by a histone chaperone // Nat. Struct. Mol. Biol. 2016. Vol. 23. N 12. P. 1111–1116. 2. Dechassa M.L., Sabri A., Pondugula S., Kassabov S.R., Chatterjee N., Kladde M.P., Bartholomew B. SWI/SNF has intrinsic nucleosome disassembly activity that is dependent on adjacent nucleosomes // Mol. Cell. 2010. Vol. 38. N 4. P. 590–602. 3. Kulaeva O.I., Hsieh F.K., Studitsky V.M. RNA polymerase complexes cooperate to relieve the nucleosomal barrier and evict histones // Proc. Natl. Acad. Sci. U.S.A. 2010. Vol. 107. N 25. P. 11325–11330. 4. Chang H.W., Pandey M., Kulaeva O.I., Patel S.S., Studitsky V.M. Overcoming a nucleosomal barrier to replication // Sci. Adv. 2016. Vol. 2. N 11. e1601865. 5. Pestov N.A., Gerasimova N.S., Kulaeva O.I., Studitsky V.M. Structure of transcribed chromatin is a sensor of DNA damage // Sci. Adv. 2015. Vol. 1. N 6. e1500021. 6. Luger K., Mäder A.W., Richmond R.K., Sargent D.F., Richmond T.J. Crystal structure of the nucleosome core particle at 2.8 A resolution // Nature. 1997. Vol. 389. N 6648. P. 251–260. 7. Gaykalova D.A., Kulaeva O.I., Volokh O., Shaytan A.K., Hsieh F.K., Kirpichnikov M.P., Sokolova O.S., Studitsky V.M. Structural analysis of nucleosomal barrier to transcription // Proc. Natl. Acad. Sci. U. S. A. 2015. Vol. 112. N 43. P. 5787– 5795. 8. 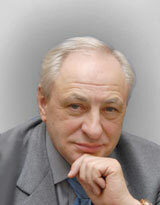 Kudryashova K.S., Chertkov O.V., Nikitin D.V., Pestov N.A., Kulaeva O.I., Efremenko A.V., Solonin A.S., Kirpichnikov M.P., Studitsky V.M., Feofanov A.V. Preparation of mononucleosomal templates for analysis of transcription with RNA polymerase using spFRET // Methods Mol. Biol. 2015. Vol. 1288. P. 395–412. 9. Buning R., Kropff W., Martens K., van Noort J. spFRET reveals changes in nucleosome breathing by neighboring nucleosomes // J. Phys. Condens. Matter. 2015. Vol. 27. N 6. 064103. 10. Gansen A., Tóth K., Schwarz N., Langowski J. Opposing roles of H3- and H4-acetylation in the regulation of nucleosome structure––a FRET study // Nucleic Acids Res. 2015. Vol. 43. N 3. P. 1433–1443. 11. Kudryashova K.S., Nikitin D.V., Chertkov O.V., Gerasimova N.S., Valieva M.E. Studitsky V.M., Feofanov A.V. Development of fluorescently labeled mononucleosomes for the investigation of transcription mechanisms by single complex microscopy // Moscow Univ. Biol. Sci. Bull. 2015. Vol. 70. N 4. P. 189–193. 12. Sultanov D., Gerasimova N., Kudryashova K., Maluchenko N., Kotova E., Langelier M.-F., Pascal J., Kirpichnikov M., Feofanov A., Studitsky V. Unfolding of core nucleosomes by PARP- 1 revealed by spFRET microscopy // AIMS Genetics. 2017. Vol. 4. N 1. P. 21–31. 13. Valieva M.E., Gerasimova N.S., Kudryashova K.S., Kozlova A.L., Kirpichnikov M.P., Hu Q., Botuyan M.V., Mer G., Feofanov A.V., Studitsky V.M. Stabilization of nucleosomes by histone tails and by FACT revealed by spFRET microscopy // Cancers (Basel). 2017. Vol. 9. N 1, 3. DOI:10.3390/cancers9010003. 14. Shimahara H., Hirano T., Ohya K., Matsuta S., Seeram S.S., Tate S. Nucleosome structural changes induced by binding of non-histone chromosomal proteins HMGN1 and HMGN2 // FEBS Open Bio. 2013. Vol. 3. P. 184–191. 15. Kulaeva O.I., Gaykalova D.A., Pestov N.A., Golovastov V.V., Vassylyev D.G., Artsimovitch I., Studitsky V.M. Mechanism of chromatin remodeling and recovery during passage of RNA polymerase II // Nat. Struct. Mol. Biol. 2009. Vol. 16. N 12. P. 1272–1278. 16. Gaykalova D.A., Kulaeva O.I., Bondarenko V.A., Studitsky V.M. Preparation and analysis of uniquely positioned mononucleosomes // Methods Mol. Biol. 2009. Vol. 523. P. 109–123. 17. Xin H., Takahata S., Blanksma M., McCullough L., Stillman D.J., Formosa T. yFACT induces global accessibility of nucleosomal DNA without H2AH2B displacement // Mol. Cell. 2009. Vol. 35. N 3. P. 365–376.